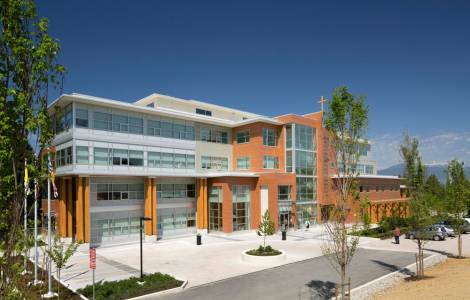 Vancouver (Agenzia Fides) - There is growing tension in health care centers in the region of Ontario, only months after the Canadian Parliament approved legal assisted suicide, Catholic hospitals, palliative care centers and individual doctors have been put on the defensive amid calls to require them to help patients kill themselves. Five doctors have filed a legal challenge against the College of Physicians and Surgeons of Ontario for its policy that requires doctors who refuse to participate in assisted suicide and abortion to refer those patients to other doctors. Since the situation has become very tense and delicate, the Archdiocese of Toronto and Vancouver have decided to be part of the new organization called "Coalition for Health Care and Conscience", to represent the Catholic doctors in difficulties. His Exc. Mgr. Ronald Peter Fabbro, C.S.B., Bishop of the Diocese of London, who is president of the Assembly of Catholic Bishops of Ontario, said the province’s bishops have agreed to make conscience protection a top priority. The Canadian Parliament legalized assisted suicide in June on orders from Canada's Supreme Court.